Credit unions routinely need to exchange documents such as account statements or loan applications with their members. These documents contain private member data, such as social security or account numbers that by law must be kept confidential. As a result the documents are either exchanged the expensive old fashioned way, through the mail or special delivery – or – they are sent via email – quickly – but risking exposure of members’ private data as well as ire of regulators. 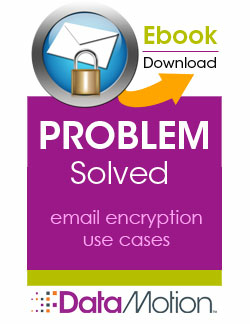 By using DataMotion SecureMail in their existing email client (such as Outlook, Notes or GroupWise) credit unions can easily exchange emails with members containing confidential data, and be assured the member data and documents are being sent back and force securely – even if the member does not have secure email technology themselves.